Australia’s Land for Wildlife (LFW) program has grown to include over 15,000 landowners wanting to restore wild-life areas, and I recently got a chance to travel there in the hope of re-creating a similar scheme here. It all began in Victoria and then quickly spread across the country – now 30 years on and 4% of the state’s total land area is protected under Land for Wildlife. The scheme works like this –willing landowners can sign up to the voluntary programme, and they’ll receive a visit from an officer to assess the biodiversity values of the land, after which they will write up a property plan which includes conservation actions on the property. Land owners also learn how to protect and enhance the habitat on their land through workshops, fieldays and regular newsletters. Land for Wildlife members trouble-shoot problems and by placing a ‘Land for Wildlife’ sign on their front gate, the word spreads. This word of mouth advertising has been phenomenally successful and since its inception, the area of wildlife habitat being managed on properties throughout Australia totals more than 560 km2. After travelling to Victoria my walkabout continued in Queensland, where they have a sophisticated database that maps a variety of details – from the land class, soil types and trees planted. The program not only involved private land-owners but also government agencies like the defence force, allowing large swathes of land to be turned into wildlife friendly areas. I then travelled over to Alice Springs were Jesse and Chris showed me some of their LFW properties in the Red Centre. We even watched a Euro (medium sized kangaroo) eat damper by the campfire. Fair dinkum! The Land for Wildlife sister programme for urban restoration ‘Gardens for Wildlife’ is particularly strong in Alice, where they are working to protect habitat for the bowerbirds, bats, rock wallabies and even frogs. Then it was onto Western Australia where Penny runs a team of 11 officers delivering LFW on a range of properties including “tree changers” (lifestyle properties) and large farms within the West Australia Wheat Belt. By creating a stretch of ecological corridors that run from wetlands through to grasslands, heaths, woodlands and forests, landowners are able to protect a range of species that live across a variety of habitats. Suitably energised and enthused, I am back on the ground in NZ, and we’ve put in a place the first building blocks for starting a similar scheme over here in the hope of bringing back bush falcon, kaka and fantails into semi-rural and urban areas around the Bay of Plenty. We are looking for willing landowners who are keen to participate in these two programs. The pilot project area is the Kaimai Connection which includes Aongatete, Omokoroa, Te Puna in the Bay of Plenty and the area between Wairongomai and Matamata in the Waikato . So if you want to protect wildlife on your property please get in touch! 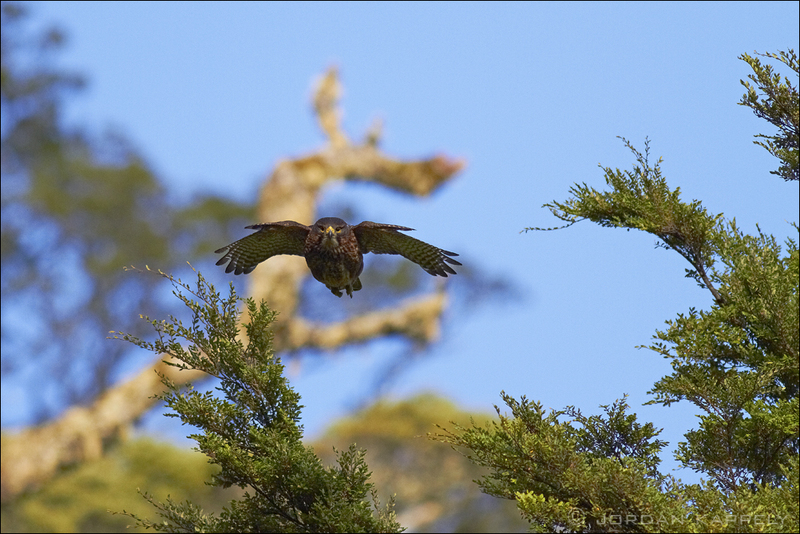 Contact either Hamish Dean at h.dean@forestandbird.org.nz 07 543 1499 or 021 741 222; or me (Al Fleming) at a.fleming@forestandbird.org.nz 07 544 4987 or 021 988 295. Alan Fleming has contributed 7 entries to our website, so far. View entries by Alan Fleming.